The Caribbean is often described as the crossroads of the world, thanks to the trade winds that lead many from all over the world to the British Virgin Islands. History has seen a succession of conquerors and cultures pass, bringing with them many distinctive foods, flavours and styles of cookery that remain very popular today. The Arawaks were followed by the Caribs, who saw explorers and sea captains knock on their door as they travelled in the search of the New World. Colonists, settlers and descendants of Spanish, Dutch, English and French origin brought with them their respective cultures and cuisines. The East Indian population left their mark on the local cuisine with their distinctive curries [Colombos}, condiments [Chutneys] and Roti, which remain present to this day. The African Slave population brought many exotic foodstuffs, such as Okra and Yams, as well as many greens, beans and roots. These ingredients combined with their cooking techniques and seasonings created Creole cookery and famous dishes such as Gumbo, which can be found all over the Caribbean and southern United States. 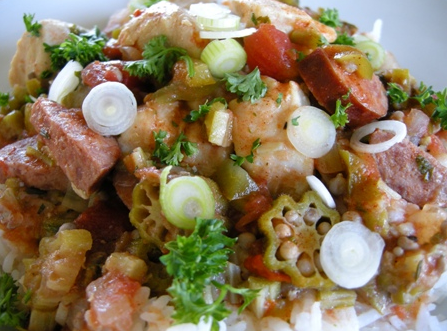 Whilst browsing the Internet, we came across a fantastic recipe on the Sugar Apple Blog for a Spicy Chicken and Sausage Gumbo, which we thought we would share with you. The combination of the holy trinity [Celery/Bell Pepper/ Onion] with the spice of the chilli pepper, smoky sausage and okra is a match made in heaven! Not much of a cook? Want your own private chef to cook you a taste of the Caribbean? Want to sample some of the best Caribbean cuisine on your own luxury yacht charter? We would love to make both of these things a reality and arrange an experience of a lifetime on a crewed catamaran, motor or sailboat. 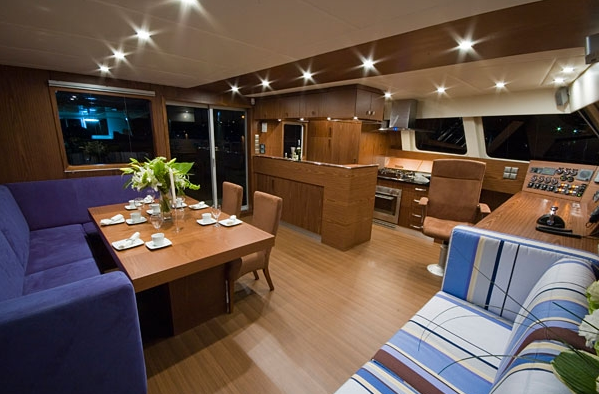 We have a great selection of boats for all budgets and one of our favourites this month is MOONSTONE, a 62ft Sunreef Catamaran with 4 fantastic cabins. There is no better way to enjoy her this Winter than to host a private dining event with close friends and family in her open-plan saloon. Accommodation is provided in 3 double en-suite cabins and a twin, which are decorated in a contemporary, yet classic style. For more information on how to charter this yacht, please follow the link on the yacht and contact one of our senior brokers. Alternatively, send an email enquiry to charter@boatbookings.com. 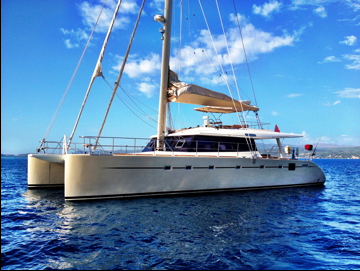 Watch this space for more information on the Caribbean and which yachts to charter this Winter.